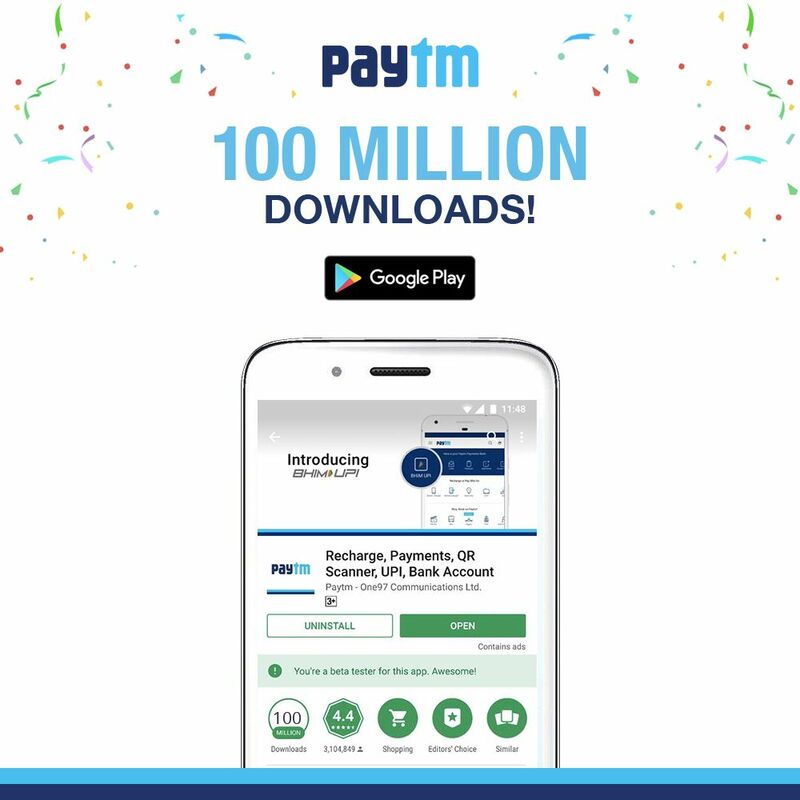 India’s largest mobile-first financial services platform Paytm today announced that its app has crossed the 100 million milestone on Google Play Store in the second week of December 2017. 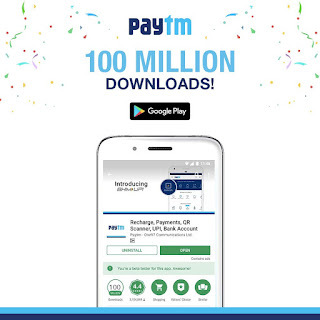 This makes Paytm the country’s first payments app to cross the 100 million downloads mark. Paytm is charting the next chapter of its growth from being a pioneer in mobile payments to becoming a mobile-first financial services company, which offers banking, lending, insurance, and payments. The platform allows users to do online recharges and bill payments, book movie tickets, do travel bookings among others. Paytm has become the most preferred payments app in the country today, allowing users to scan its QR and pay at large merchants, grocery and kirana stores, milk-booths, local taxi/autos fares, petrol pumps, multiplexes, restaurants and more.